I'm not sure whether it's depressing or amusing that some stereotypes are so slow to change! James Perrett, 54, of Giffin-street, Deptford, on remand with unlawfully wounding his wife, Annie Florence, by striking her on the head with some instrument. Mr. Llewellyn Davies defended. – The woman’s skull was fractured, and she had been in the Miller Hospital. She admitted that she was in the habit of drinking, adding, “We’re both as bad as one another.” – [magistrate] Mr d’Eyncourt said the prisoner had received great provocation, and in the circumstances would suffer one day’s imprisonment. There would be a judicial separation, with payment to the wife of 12s a week, the husband to have the custody of the child. John Potter, 40, labourer, on remand with working a horse in an unfit state in Creek-road, Deptford. William Randall, of Besson-street, New Cross, was summoned as the owner for allowing the animal to be so worked. – Randall was committed for a month's [imprisonment with] hard labour, and Potter fined 20s and 10s 6d costs. At Greenwich Police Court on Tuesday, a man was charged with assaulting his wife by striking her on the head with some blunt instrument, whereby her skull was fractured. Mr d’Eyncourt remarked that the prisoner received great provocation – which appeared to be true – and, whilst decreeing a separation, sentenced the accused to one day’s imprisonment. We venture to say that no amount of provocation can justify a man in striking a woman. Alfred Malcomber, 50, and Harriett Malcomber, 41, no home, willfully exposing their two children, aged 10 years and 2 years respectively. 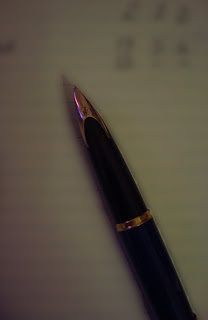 – P.C. 206M said he found the prisoners sleeping on a manure heap at the S.E. Railway-arches, Trundley’s-road, Deptford. The place was infested with rats – 50 or 60 of them – and some ran over his feet when he aroused the prisoners. – The man said they had been tramping about the country, and could not get a room. – Remanded. The fact that the parents appeared to have had little choice but to sleep where they did, and were with their children, seems to have gone unremarked. There is no comment upon what was to happen to the children while their parents awaited trial in prison. One of the delights - or problems - with researching in the Newspaper Library is that every newspaper is full of interesting features unrelated to the topic being researched. Thus I was distracted from looking for an article in the weekly Brockley News of 12 October 1900 by various Deptford stories. Even when they were just small bits of local news, they gave a real sense of local life. 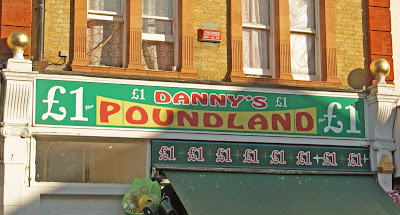 Let's take a look, then, at Deptford on one random week a century or so ago. The courts were a major source of news for the local paper, so today we'll start with a few theft-type offences. First, 21-year-old coal porter John Finley of Tanner's Hill was caught with a roll of copper wire belonging to the railway. Unfortunately, he couldn't come up with a good explanation for how he came to possess it - the police didn't believe his claim that he found it in his employer's chaff house. * Eventually, he admitted that he had stolen it and was brought before Greenwich Magistrates' Court who remanded him in custody. More seriously, homeless Bartholomew Murphy broke into the Walter Arms beerhouse on Addey Street. He woke the occupant, Jesse Skudder, when he went into his bedroom at 1.30am; Skudder asked him, "what are you doing here?" Murphy's answer was an unconvincing "I don't know" - he had had to scale a wall, cross the wash-house roof, and force the kitchen window with an iron bar before reaching the bedroom. Skudder dressed and gave chase, only to be threatened with a knife, before fetching a policeman. Murphy claimed he was drunk that night and didn't know what he was doing. The magistrate committed him for trial at the South London sessions. Finally, there was the Victorian equivalent of eBay fraud: George Hypolite le Bluff sold greenhouses and chicken houses by mail order from Trundley's Road. However, dissatisfied purchasers apparently found that after they'd sent the money, the goods didn't turn up. His alleged victims included Dr Collins of Aylesford, Kent; rector's wife Mrs Belcher of Frampton Cotterell, Bristol; and an unnamed miner from the Rhondda Valley. He was committed for trial at the Crown Court. * A chaff-house was an outbuilding used to store animal fodder. Because knitted items are perishable, nobody knows when knitting began. Estimates range from millennia ago to the 11th century (while knitting-like work certainly dates back to the 5th century). Since knitted stockings were a major export industry in Elizabethan Britain, knitting schools were set up to teach the poor a marketable skill. During the Second World War, people were encouraged to knit balaclavas, gloves, etc for soldiers, using wool unravelled from old clothes. See some of the patterns on the V&A website: they include balaclavas with ear-flaps for telephone operators and mittens with one separate trigger finger. Knitted items were found on the wreck of the Mary Rose, including a jerkin, fragments of woollen hose, and several knitted beret-style hats. Fair Isle jumpers were knitted by whole families in the Scottish islands. They became fashionable in 1922 when the Prince of Wales wore one to play golf. The knitted fisherman's jumper was not unique to Scotland: Guernseys or 'ganseys' were knitted in many parts of the British Isles until recently, using 5-ply wool and five needles. Among the knitted items which have fallen out of fashion is the tea cosy, which fits over a teapot to keep the contents warm. Its first documented use was in 1867. 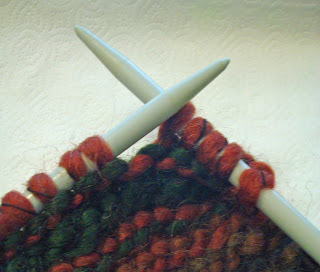 Knitting is mentioned in Jane Austen's Persuasion. Alice Ayres was employed as nursemaid to her sister Mary Ann or Martha Chandler's children; neighbours described her as a quiet, hard-working young woman. She and the Chandler family lived at 194 Union Street, Borough, above a shop. 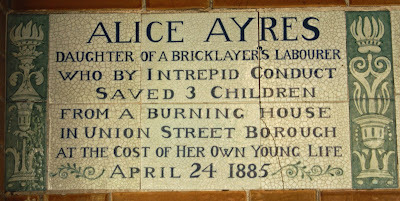 When a fire started in the shop during the night of 25 April 1885, Alice and the children (aged about 6, 2 and 9 months) were sleeping upstairs. Alice went to the window with one of the children, manoeuvred a feather mattress out of the window, then dropped the child to safety. Instead of saving herself next, as the crowd outside begged her to, she went back twice more, rescuing the other two children (although one would not survive the fall). Finally, she tried to make her own escape - but too late. Smoke inhalation and exhaustion meant that she fell awkwardly, hitting the shop front and then the pavement with great force. She died two days later in Guy's Hospital from severe spinal injuries; she was 25. She was buried in an elaborate public funeral and her grave was marked with a granite monument paid for by public subscription. 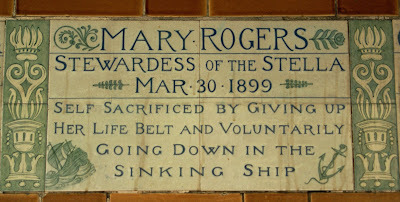 Her conduct was also recognised by the Society for the Protection of Life from Fire, which sent a letter of commendation and ten guineas to her father. Updated Dec '08 - thank you to Geoff Ayres for further information. This amazing film of Londoners in 1904 was shot by Charles Urban to show Australians what life in London was like. It stayed hidden and forgotten in a Canberra archive until discovered by Professor Ian Christie. Londonist points out that the film is particularly unusual among early cinema for featuring ordinary people rather than staged performances. It's an amazing window into life a century ago, complete with Edwardian outfits and cheeky children (note the boy on the bridge in the second scene)! The full 12-minute reel, along with another 15 or so films of London, is being shown this evening in Trafalgar Square. If you can't make it on such short notice, at least we have this sample to enjoy. Thanks to Deptford Dame for introducing me to Deptford Se8ker. They've been blogging since late September (when they did better than me at touring the Waldron Health Centre for Open House weekend) and the latest post points out the air raid shelter signs to be spotted locally. No, this post isn't going to be a rant about tourists who stop dead in the middle of the pavement or amble along in huge groups in the middle of rush hour (tempting as that is!). 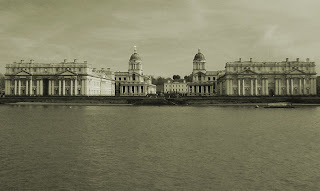 Rather, it was prompted by considering some 'London in a day' sightseeing itineraries of the past. They make today's hop-on, hop-off bus tours seem a very lazy option! Whitehall (passing Government Offices, Royal United Service Museum and the Cenotaph). Houses of Parliament. (Open on Saturdays and Easter and Whitsun Mondays and Tuesdays). Luncheon in neighbourhood of Piccadilly or Leicester Square. Drive through Hyde Park and Kensington Gardens. Particularly impressive is the expectation that you will actually go into the institutions not marked 'exterior only': 4 art galleries, a museum and two cathedrals in a day doesn't allow much time for contemplation. (There were also suggestions to fill the remaining daylight hours should you be staying overnight). The 1920s had been equally hectic: Enquire Within Upon Everything didn't set out an itinerary but did expect that a visit to, for example, the Tower of London would be grouped with 'St Paul's, the Bank, Royal Exchange, Monument, Mansion House, Guildhall, and so on'. However, such exertions pale beside one Victorian's epic sightseeing. 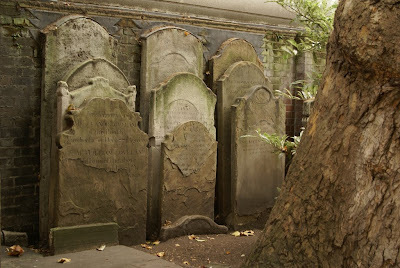 When James Patterson visited relatives in Camden, he was determined to 'see' London. 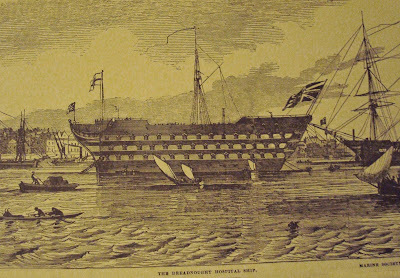 Thus on 27 December 1858, he met his uncle in Albany Street from where they spent a day's sightseeing on foot which included St James's Park, Westminster, the Abbey, Charing Cross, Trafalgar Square, the National Gallery, Covent Garden, Waterloo Bridge, the Strand, St Paul's, Guildhall, London Bridge, a steamer to Greenwich passing Milwall shipyards where the Great Eastern was being built, a tour of the Royal Hospital and its paintings, a walk through Deptford Dockyard to see more ships being built, then through the Thames Tunnel from Rotherhithe to Wapping, St Katherine's Docks, Tower Hill, and finally a train home. Compared to that marathon feat, Ward Lock's tour is for lightweights! I was introduced to James Patterson at a lecture by Chris Hilton, Senior Archivist at the Wellcome Library. It was part of a day of events to launch Medical London, a boxed set including book, gazeteer and walks which I'd highly recommend. When I visited the Limehouse Accumulator Tower as part of Open House weekend, I learned a great deal about the use of hydraulic power to operate locks and cranes in the docks area. However, I was also intrigued by the comment that this power was piped to the West End for use in theatres. A little research confirmed that there was a network of underground pipes providing hydraulic power throughout London. The London Hydraulic Power Company was incorporated by Act of Parliament in 1871, and only closed in 1977. As early as 1893, six and a half million gallons of water were pumped each week; gradually, the company's reliable service took over from the smaller power plants providing the docks. As well as its industrial uses (operating machinery such as presses), hydraulic power was indeed used by non-industrial customers such as theatres. In fact, the Theatre Royal Drury Lane had used hydraulic apparatus for a production back in 1829, over twenty years before hydraulic machinery was introduced to Limehouse Docks; with the availability of the piped network, its use took off throughout the West End. The Royal Opera House curtains and Coliseum turntable both used hydraulics, as did the stage machinery in other theatres - hydraulic power allowed new and dramatic special effects. Indeed, late-Victorian 'sensation' productions relied on such effects for their appeal. 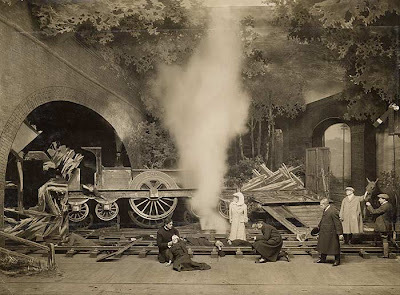 Theatre Royal Drury Lane's production of The Whip, for example, built up to a dramatic train crash live on stage followed by the running of a horserace (the horses ran on a 'travellator'). Such elaborate effects carried their own risks, of course - on the play's first night, its equine hero 'The Whip' lost the race and the judge's box shot into the air! (Luckily, the rest of the run went more smoothly, and it lasted for 388 performances and a successful tour). More mundanely, but crucially, when safety curtains became standard they were often made of iron - again, the ability of hydraulic power to lift heavy weights was invaluable. This form of power was also quiet, powerful and clean. Hydraulics continue to be used for lifting and lowering stages such as the Lyttleton Theatre's proscenium stage today, although there is no longer a central supply to draw on. Instead, the underground network of cast-iron pipes (some 150 miles of it) is now owned by Cable & Wireless and carries optical fibre cable. Image: 'The Whip' (c) The Theatre Museum (Victoria and Albert Museum). For more amazing images from theatre history, visit their PeoplePlay website. 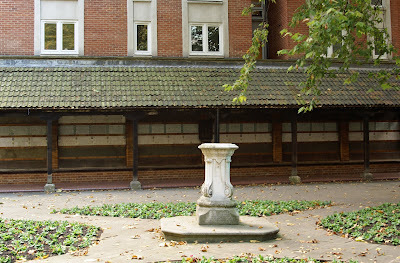 Guildhall Library Bookshop is quite tucked-away and doesn't seem to be terribly well-known: I came across it almost by chance at London Maze. However, it's full of books about London (and pretty much nothing else). You can combine it with a visit to the Guildhall Art Gallery or Clockmakers' Museum. 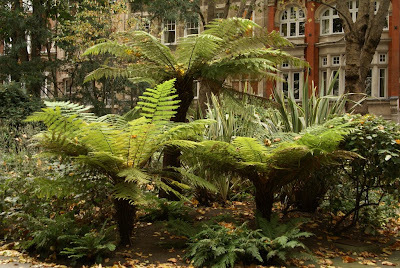 Aldermanbury, London EC2V 7HH; open Monday-Friday 9.30am-4.45pm. The Museum of London shop has an interesting and varied selection of books on London history. (You can also visit a few galleries of the Museum, although much is currently closed for refurbishment). 150 London Wall, London EC2Y 5HN; open Monday-Saturday 10am-5.50pm, Sunday 12pm-5.50pm. Online, AbeBooks is a brilliant resource for finding second-hand and out-of-print books. It allows you to search through the inventories of booksellers worldwide, and I've usually found what I'm looking for there. If I've left out your favourite, do leave a comment and let me know! Grinling Gibbons was born in the Netherlands in 1648, probably to an English father; we know little of his childhood. By 1671 he was living in "a poore solitary thatched house" in Deptford and possibly engaged in ship-carving. Here the diarist and owner of Sayes Court, John Evelyn, discovered him by chance and recognised his extraordinary talent for woodcarving. Evelyn introduced him to Sir Christopher Wren; his career quickly progressed from that point and he worked for Wren on St Paul's Cathedral as well as being commissioned by Kings Charles II and George I.
Gibbons died in 1720, leaving work in London churches and English country houses, as well as Windsor and Hampton Court Palaces. He also left behind a small mystery: how did he get such a polished finish when sandpaper had not yet been invented? The answer was discovered by woodcarver David Esterly: the wood was rubbed with a common Dutch weed, Equisetum hyemale (horsetail). Gibbons' reputation for woodcarving is unsurpassed; his carving of foliage was particularly admired as he introduced a new naturalness and informality. 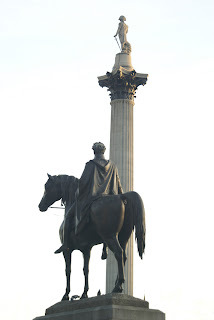 He also worked in stone, and one of his statues still stands at St Thomas's Hospital opposite the Houses of Parliament. It portrays Sir Robert Clayton, a former President of the hospital. 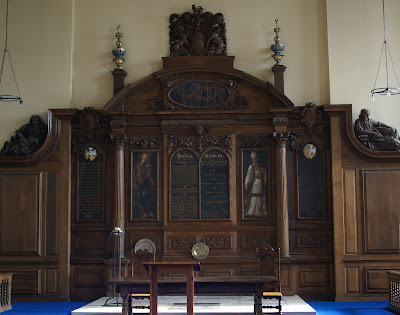 Despite his subsequent success, Gibbons apparently did not forget Deptford: a panel depicting Ezekiel in the Valley of Dry Bones, and possibly the magnificent reredos, in St Nicholas's Church are his work. Anyone with an interest in Edwardian criminal trials has probably heard of Sir Edward Marshall Hall KC: he was the most famous criminal barrister of his day. He still has a reputation as England's greatest legal advocate, although some of his tactics would be unacceptable in modern courts and his style far too flowery and emotive. Most famously, in his closing speech at the murder trial of prostitute Marie Hermann, he ended with 'Look at her, gentlemen of the jury, look at her. God never gave her a chance, won't you?' The jury did, convicting her of manslaughter rather than murder. He had taken his law degree at Cambridge, and was called to the Bar in 1883. (Despite an early interest in acting, he was unable to memorise lines). At first, he made more money from dealing in jewels than from his legal practice. Soon though, matters improved and with the Marie Hermann case his reputation was established. Marshall Hall's talents did not, surprisingly, extend to a strong grasp of the law. Robin De Wilde's profile of him in this year's Inner Temple Yearbook notes that he would openly request his junior to argue difficult points of law. * However, he was good-looking and charming, with a beautiful speaking voice. He also used tricks such as provoking the judge to lose his temper so that the court appeared biased against him and his client, arousing the jury's sympathy. It is for his murder cases that he is best remembered. One made legal history: defendants had only been able to give evidence in their own defence since 1898, and his client Robert Wood was the first person to be acquitted of murder after giving evidence on his own behalf. In another notorious case, Madame Fahmy shot her Egyptian husband dead in the Savoy Hotel but was acquitted after Marshall Hall attacked the victim's character at trial, not least by playing on racist stereotypes. However, by no means all of Marshall Hall’s cases ended in success. Most famously, George Joseph Smith was convicted in the ‘brides in the bath’ case in 1915. He had bigamously married at least three women; each would insure her life or make a will in his favour; they would take lodgings in a house with an indoor bathtub; Smith would claim to a doctor that his wife was epileptic or prone to fainting; and soon after, she would drown in the bath, where Smith would discover her. Medical evidence showed that accidental drowning was impossible in the bath tubs involved. Although Smith was only charged with the murder of his first wife, the court allowed evidence of all three deaths to go before the jury: the case was thus hopeless and Smith was convicted and hung. Marshall Hall was also an MP for twelve years, but was not a successful politician. His maiden speech, which proposed doorstep deliveries of ale so that children would not have to go into public houses to fetch it for their fathers, was greeted with derision. He died of pneumonia in 1927, surrounded by his family. It is for his criminal cases that he is still remembered today. * As a King's Counsel, a senior barrister, he would have a 'junior' - a non-KC, not necessarily either young or inexperienced -to assist him in his cases. Deptford X art festival is well underway, and I had time this weekend to enjoy some of the events. They're just a sample, because the festival is huge in scope and still has a week to run, but they do give some idea of the variety on offer. St Nicholas's Church is the venue for two works. Yinka Shonibare's White Flag at Half Mast, literally a white flag, flies from the top of the tower. You can view it from below, or climb the narrow spiral stairs to get up close (Saturdays only). I would have loved to do the latter if only for the views over Deptford, but spiral-staircase-specific claustrophobia kept me at ground level! I found the flag rather unexciting, but one advantage of so much artwork packed into a small area is that there's always something else to see. In this case, I just strolled down into the crypt for Matt Stokes' video Cipher whose organ music also echoes rather atmospherically around the church nave. 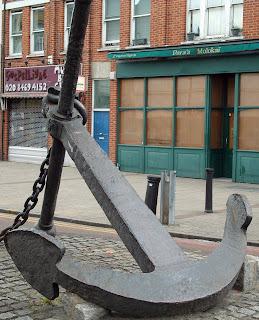 An audio tour, Pavement Sonnets, Deptford Scars, links many of the sites. The start is a little off-putting ('this is a walk, not a stroll') but once you're underway the walk is fascinating and full of local history. Download audio files and map here, and start at Ha'penny Hatch footbridge over Deptford Creek (which has one of Cottell's golden balls too). 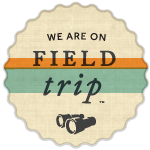 I've done more than appears here, but still barely scratched the surface of the festival. There's another week to try and catch up! For more information see the Deptford X website. One of the greatest free foods is the blackberry - even if picking it is liable to leave you covered in scratches and frustrated at the way the best berries always seem to be just out of reach. Sadly, many of the places that used to be good for blackberrying are now built over, but it's worth hunting out some brambles or growing your own. 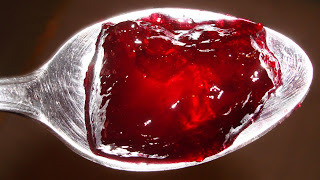 In Brittany this summer, I picked kilos of the fruit and made most of it into bramble jelly. The best berries are those that ripen first, but there's another reason to stop picking them now: they've been touched by the devil! My vague suspicion that this tale was invented by my mum when she couldn't stand blackberrying any more was wholly unfounded; in fact, it's a longstanding belief which is found in many parts of Britain. The story is that the devil was thrown out of heaven by St Michael on 11 October (Michaelmas Day in the old calendar),* and landed in a blackberry bush. Still angry at that prickly landing, he spits on the berries every anniversary, making them inedible. (In some versions of the legend, he pees on them). Since blackberries are indeed past their best by now, devil's work or not, it's a good day to exchange brambles for bramble jelly! * Leap year's days don't fully correct the calendar, so by 1752 it had got eleven days ahead of where it should be, meaning solstices, equinoxes and so on were happening on the wrong days. To correct the problem, eleven days were simply left out of September that year, so we went straight from 2 September to 14 September. That pushed some events, like Michaelmas day, 11 days back too. Don't worry, we shouldn't have to lose any more days - we now leave out the leap year's day at the turn of a century unless it divides by 400 (so 1900 wasn't a leap year but 2000 was), which keeps things as they should be. I've already posted about the 500 years of female portraits in Western art video and the near-absence of women artists. While the video deservedly won praise, however, one question was asked repeatedly: why are there no images of black women? Of course black women have been represented in Western art. However, even when they are there on the canvas they can still be treated as invisible. I've discussed the career of Victorine Meurent, Manet's favourite model and an artist in her own right. In one of her most famous portrayals by Manet, as the courtesan Olympia, there is another women in the image too: a nameless black servant carrying a bouquet. History has been even harder on her than on Meurent: this model's name is not known. Wikipedia refers to "the model" in the painting, as if there were not two women present; a Salon article discusses the painting and the figure of Olympia at length but barely mentions her maid. This is not to suggest for one moment that there are not analyses of race in art: the point is that they have been ignored by these mainstream discussions of such works. The courtesan's challenge to the viewer is perhaps in part due to her dominant position in the painting, able to ignore her submissive black maid. The maid herself adopts a more traditionally female pose, her eyes turned to the side rather than meeting and challenging those of the viewer. Her face almost merges into the background; more visible are her dress and the flowers she carries to Olympia - the image obscures her even as it portrays her. At a more symbolic level, in the nineteenth century racially "other" women were often viewed as more sexualised than white European women, so that the presence of a black maid functioned to highlight Olympia's own (excessive) sexuality. To focus upon both figures in the image, rather than to treat the maid as background decoration, is to change the way we read the painting altogether. It shifts from being a portrait of one woman to something more like a narrative work where we ask questions about the nature of the interaction and relationship between the women. 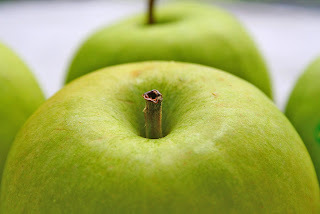 Our experience and understandings of the work can then become all the richer. Thus there are racial as well as gender dynamics to this painting which merit being placed in the foreground. (Nor are they purely historical: see the analysis of a contemporary image here.) It is unfortunate that so many discussions of the image leave them as obscured as the maid herself. I can't say I wasn't warned - Londonist had been less than enthusiastic - but I still went along to have a look at some of the seven art installations which make up Drift 08. The idea is brilliant: art placed along the Thames to bring it 'out of the galleries and into public places so it can be enjoyed by everyone'. There are pieces at various points in the rive between Blackfriars Bridge and Canary Wharf. Saved from Drowning is quite fun, but perhaps less meaningful than it aspires to be. It was not so much a 'steel painting' recalling those who have drowned in the river as a rather wonky mirror. This piece is Migration. Unfortunately, it is rather unassuming (you might miss it altogether if you weren't looking for it) and is thus overshadowed by its neighbours: London Bridge, the Tower of London and HMS Belfast. Biggest disappointment was 'Classification Pending', which had sounded lovely - at dusk, mythical creatures are projected into the river under London Bridge. Unfortunately, I couldn't actually see them - and I wasn't the only bemused person gazing forlornly at a Drift 08 map. Perhaps something had gone wrong; perhaps the map didn't pinpoint the spot clearly enough (it's rather vague); or perhaps the creatures are very, very shy. Whichever, this was one piece unlikely to be 'enjoyed by everyone'. I love the idea of this exhibition. I quite enjoyed spotting a few of the pieces. However, it also felt like a missed opportunity to have some really exciting work in this most public of venues. The plan is for the festival to be an annual event: here's hoping we get something more enticing next year. Practical info: there's still time to see the exhibition, which is on until 19 October 2008. Works are visible from bridges and walkways; the map (PDF) is here. If you're struggling to identify some of the images, check them out on this site which matches a thumbnail of each to the title, artist and date. However, you might notice that only two of the artists were women (Mary Cassatt, an impressionist painter from a wealthy American family, and Elisabeth Louise Vigée-Le Brun, a French court painter patronised by Marie Antoinette). Some explanation of that statistic can be found in the story of Victorine Meurent, discussed by novelist V R Main in the Guardian on Friday. She is best known as Manet's favourite model, and it has often been assumed that she was also his mistress if not a prostitute - although she probably never slept with him at all. In reality, Meurent was herself an artist and financially independent - no mean achievement for a working-class woman in the mid-nineteenth century, when women were denied formal artistic training. 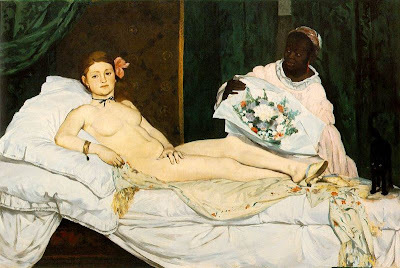 Indeed, she exhibited at the 1876 Paris Salon (Manet's submission was rejected) and again in 1879, 1885 and 1904. In 1903 she was admitted to the Société des Artistes Français. All her work was believed lost, but one painting has recently been acquired by the museum in Colombes where she lived for the last 20 years of her life with Marie Dufour, a piano teacher. Despite such odds and obstacles, some women have succeeded as artists throughout history. Matters are improving - slowly - and you can visit an impressive collection of work by contemporary women artists at the online gallery of New Hall College Cambridge's Art Collection. 6. As to tips, at many establishments where only a light repast is served "no gratuities" is the rule. Otherwise the custom is to tip the waiter on the scale of 1d for every shilling of your bill. Thus if your dinner cost 2s. 6d., the waiter's tip would be 2d. or 3d., whichever you please. Peter the Great's visit to Deptford was apparently once commemorated by a bust in Deptford West Power Station. However, that had disappeared when a chance enquiry about its whereabouts was made on behalf of Edwin Holdup, former power station manager, to Canon Graham Corneck, the Rural Dean of Deptford. Although Canon Corneck didn't find the bust, he was inspired to campaign for a public memorial. He received support from Vladimir Molchanov, First Secretary at the Russian Embassy, and Lewisham and Greenwich councils. The Peter the Great Tercentenary Committee was formed, and it originally intended to run an open competition. However, the monument actually erected is a gift from the people of Russia. It was designed by two Russian sculptors, Viacheslav Bukhaev who was responsible for the architectural elements and Mikhail Chemiakin, (or Shemyakin) responsible for the sculptural elements. Chemiakin had gone into exile from Russia in 1971 after his art was condemned by the Soviet authorities. He settled in New York, but his work has been exhibited in Russia since the Soviet Union broke up, and he and Bukhaev had already created a Peter the Great monument for St Petersburg. 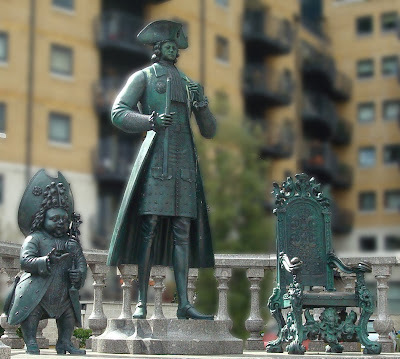 His original plan for the Deptford sculpture supposedly involved court jesters baring their bottoms, but the actual monument has restricted itself to one dwarf jester holding a ship and globe, while Peter carries a telescope. The statue was unveiled by Prince Michael of Kent in June 2001 on land given by Fairview Homes. However, it was not the Committee's only achievement. They also formed the Peter the Great Educational Trust, whose educational aims included developing cultural and academic links between Russia and Great Britain. For more detailed information on this and many, many other South London monuments, Public Sculpture of South London by Terry Cavanagh is an invaluable reference book. The current economic crisis gives added interest to today's anniversary: exactly 130 years ago was the collapse of the City of Glasgow Bank. However, unlike the more recent bank failures, this one brought about the ruin of almost all its shareholders and saw its directors imprisoned for fraud. The bank had been founded in 1839 and by the time of its collapse, had 133 branches. Dividends to shareholders had been generous, reaching 12% in June 1878. It even issued its own bank notes. It was therefore one of Scotland's largest banks, and appeared to be a great success. However, on 2 October that year the directors announced the bank's closure. Despite the £8 million in deposits they had declared a few months earlier, the overall picture was much bleaker: those deposits were far outweighed by the bank's liabilities. Indeed the real story was one of poorly secured loans (sound familiar? ), lots of risky investments made in the hope of putting things right, and £6 million of liabilities. (The bank's liquidators actually recovered more money than they might have expected for some of its US investments, thanks to the efforts of American banker John Stewart Kennedy). It had kept going by a mixture of fraudulent balance sheets and secret purchases of the bank's own stock to keep up the share price. Unlike modern businesses, the City of Glasgow Bank was not a limited company - in other words, the liability of its shareholders was not limited to a certain amount by law. Consequently, the 1,600 or so shareholders were liable for an unlimited amount, so when the Bank's debts had to be repaid every shareholder had to pay their full share. Almost all of them went bankrupt, with unhappy effects on Glasgow's economy. In January 1879, the bank's directors were all convicted of fraud and sentenced to imprisonment. As a result of the collapse of the City of Glasgow Bank, changes were made to the banking system. Independent auditing became a requirement, while limited liability was introduced - effectively shifting the risk from the shareholders to the depositors. However, more fundamental lessons seem not to have been learned yet. 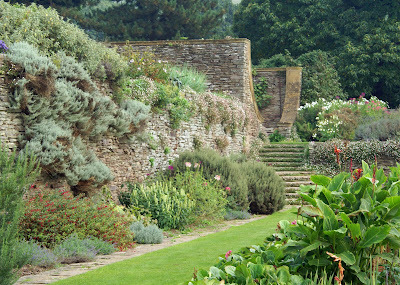 In the early twentieth century, Hestercombe had three superb gardens: an eighteenth-century landscape garden, creating an idealised natural landscape with waterfall, lake and architectural 'seats' (pretty shelters to sit in); a Victorian shrubbery and terrace; and most famously, an Arts and Crafts formal garden designed by Gertrude Jekyll and Edwin Lutyens. 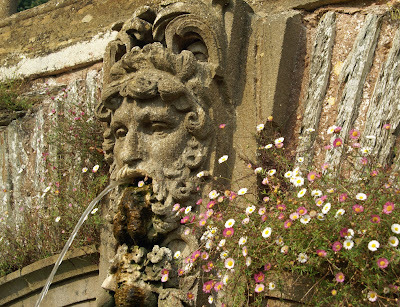 While Hestercombe House has survived the last century pretty much intact, the gardens were not so fortunate. During the war, army barracks were built on the land, while the Crown Estate felled a number of trees in the 1960s. The number of gardeners had declined to two. Happily, the gardens are now restored. 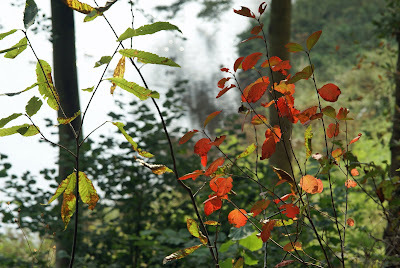 The work was begun by Somerset County Council, who in 1973 undertook the initial restoration of the formal gardens. 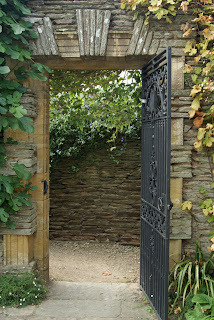 Their endeavours were hugely assisted by the discovery of the original planting designs in a potting shed drawer; there were also photographs of the garden from Country Life. 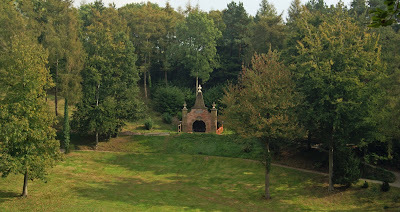 The eighteenth-century landscape gardens, designed and laid out by Copplestone Warre Bampfylde in the 1750s, had to wait until the 1990s; their restoration has been directed by Philip White. He noticed the remnants of the garden - a disused waterfall and the remains of buildings - in the early 1990s, and remortgaged his house to fund the initial work in 1997. (Further funding would later come from the National Lottery.) There were no detailed plans available this time, but Copplestone Warre Bampfylde was a gifted amateur artist who had painted the garden he created. Just over ten years later, the garden has regained its glory and is a magical place to stroll or sit and enjoy the views. 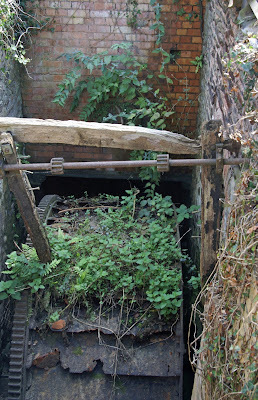 The Hestercombe Gardens Trust now manages the site, with Philip White as its Chief Executive, and has yet another project planned: the restoration of the eighteenth-century water mill.